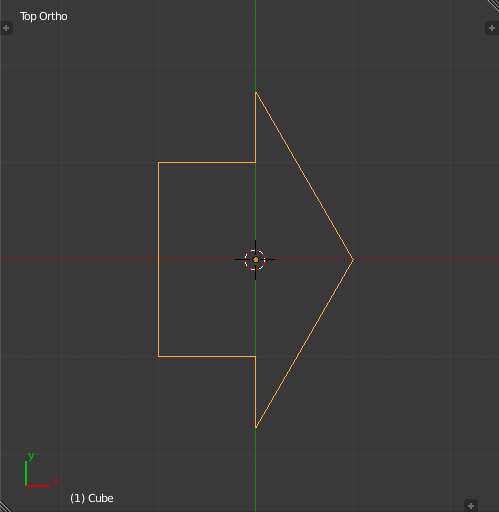 What's the fastest and / or craziest way to model an arrow in Blender? A default installation should be used. Changes in the UI don't count, so you can zoom or pan without adding steps. Changing the pivot point or similar actions count. Every press of a mouse button or key counts. Combos like ctrlLMB or shiftD count as one. The arrow has to be symmetrical. 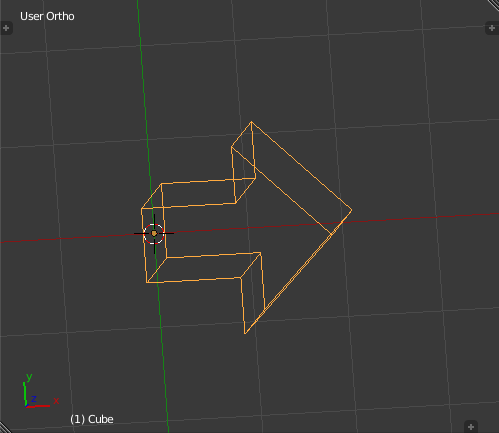 Proportions don't matter, right angles do. The backside of the arrowhead has to be parallel. 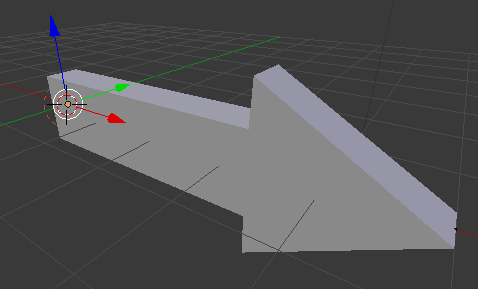 to broaden the field a bit: extra verts are OK as long as they don't distort the shape. Addons belong in the realm of the second question. In case two answers have the same score, the one posted first gets the checkbox. The second and more creative question: what's the craziest, least practical and goldbergish way to do it? Feel free to contribute. Any fun solution in between the extremes is probably interesting, too. So, who manages the least clicks and how? 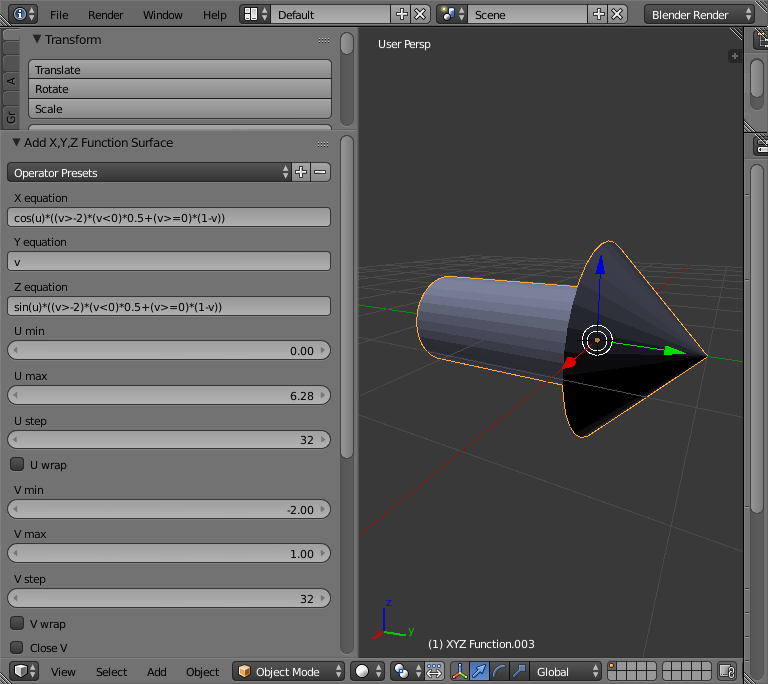 The extra curve objects addon that is part of a standard blender install , includes an arrow. 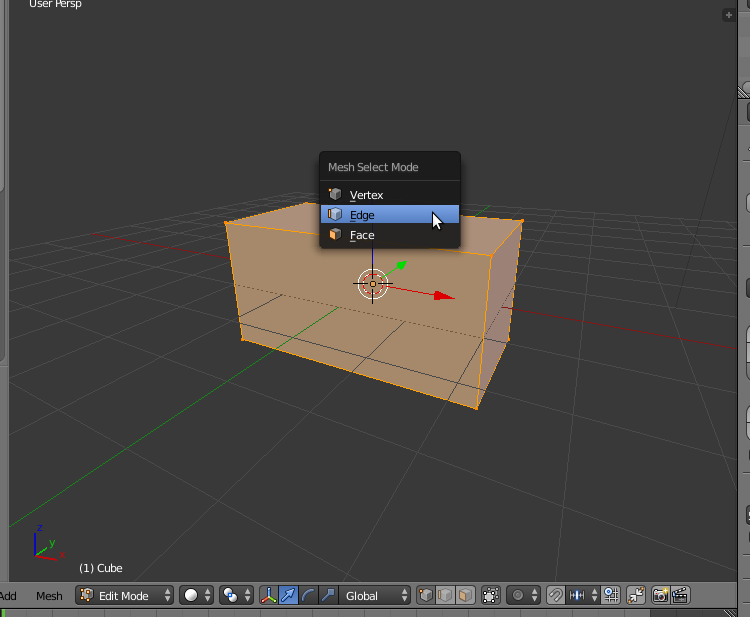 Add a font, edit mode, select text, select font, paste arrow, extrude. So I thought to myself: These answers are so amazing, but they're hard. Even I have trouble recreating them. I have to do something. I need to provide a simple and effortless answer and after a while, I found it. 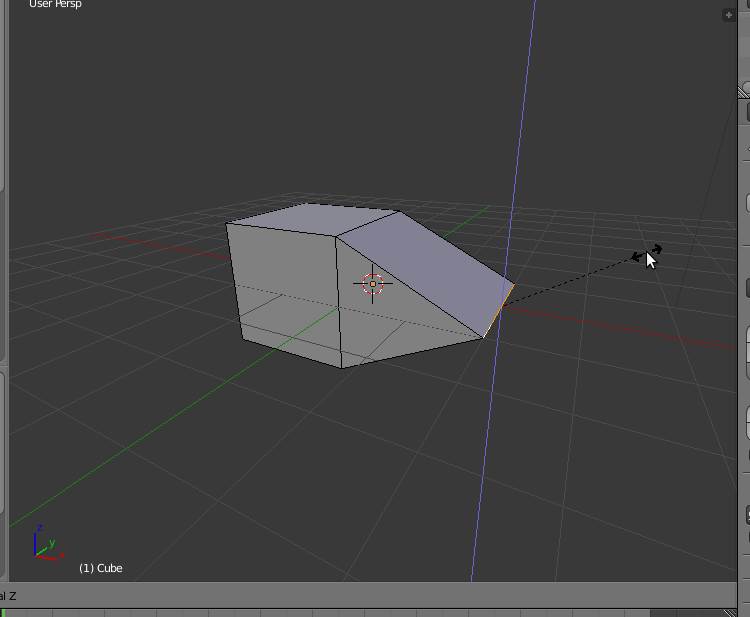 Step 1: Create a seven sided Cylinder. Step 2: Build this ordinary and straightforward armature (shouldn't take long) and connect it to the circle. 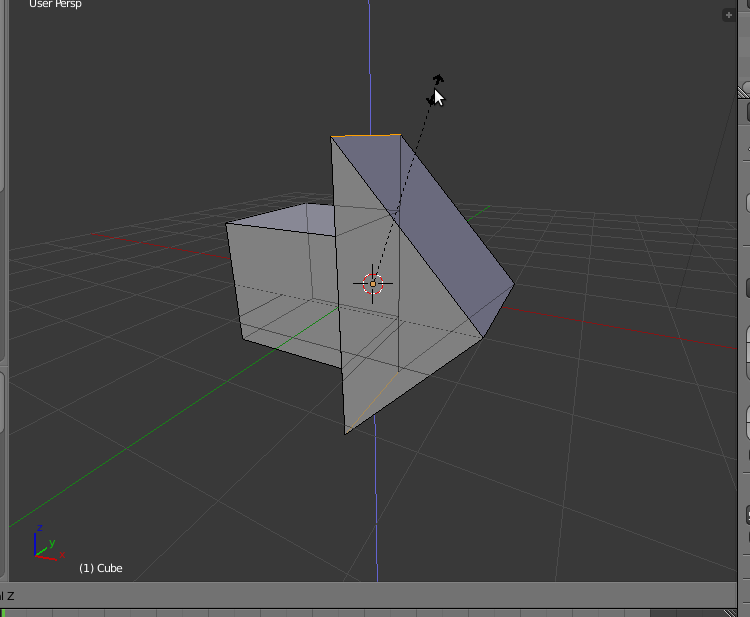 Step 3: Push the Bone that has the shape of a modeled arrow (khm) up a bit. I mean, it doesn't get much easier than pushing a bone up a bit. The orange and red ones are simple 2 bone IK-chains pointing to the mover arrow. The green ones are parented to the orange ones and move with them. They are not necessary but it's a bit clearer that way. You could parent dark blue directly to orange with offset. Dark blue is parented to green. The blue ones are again simple 2 bone IK chains pointing to the light blue targets. The yellow circle bones sit in the middle of the dark blue bones and are the only ones having deform enabled. The tricky bit is to find the right lengths for red and orange so that a single bone moves all the green bones just the right amount. James Watt has discovered this green/dark blue/light blue lever for his steam engines. It's called Watt's linkage. It enables the yellow circles to move pretty much in a straight line. It's still used in trains to keep the wheels from moving back and forth. 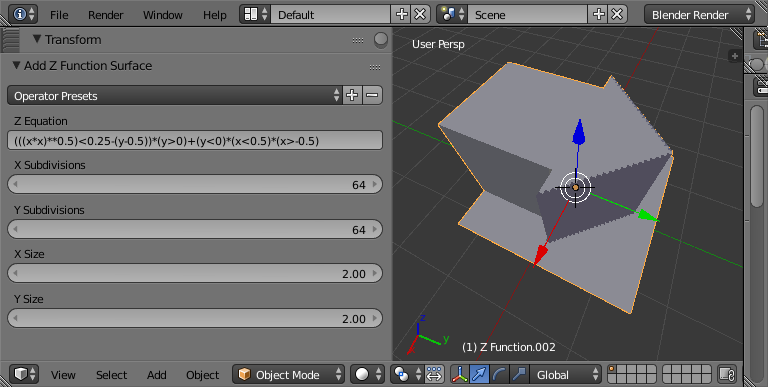 Here's a fairly crazy method.... create it mathematically using the Add Mesh: Extra Objects addon. (ie, sqrt(x ^ 2) - which is effectively the same as an 'abs(...)' function) and combine this with the Y coordinate to create the diagonal. 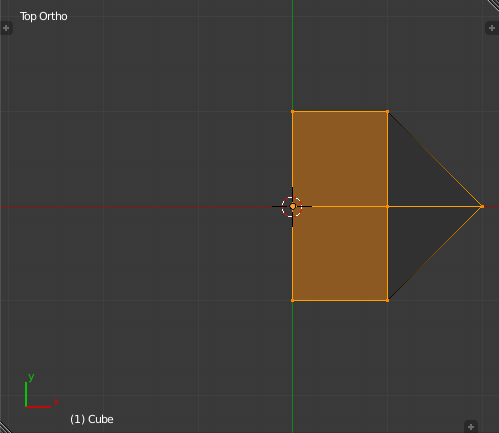 If you really wanted to you could use a Boolean modifier with a cube to chop off the excess around the base of the arrow where Z=0. which creates the profile of the arrow from the 'v' coordinate. This is then multiplied by cos(u) and sin(u) for the X and Z coordinates to rotate the profile around the Y axis. 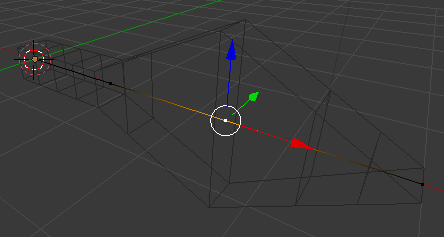 Y is generated directly from v to give the arrow length. Note that U ranges from 0 to 2*pi for a full rotation and V ranges from -2 (the back of the arrow) to 1.0 (the tip of the arrow) matching the constants in the equation (-2 = the back of the arrow, 0.5 the thickness of the 'tail', 1 the tip of the arrow, with the back of the head at zero. The 'v>-2' closes the back of the arrow by collapsing down to 0 for v = -2. 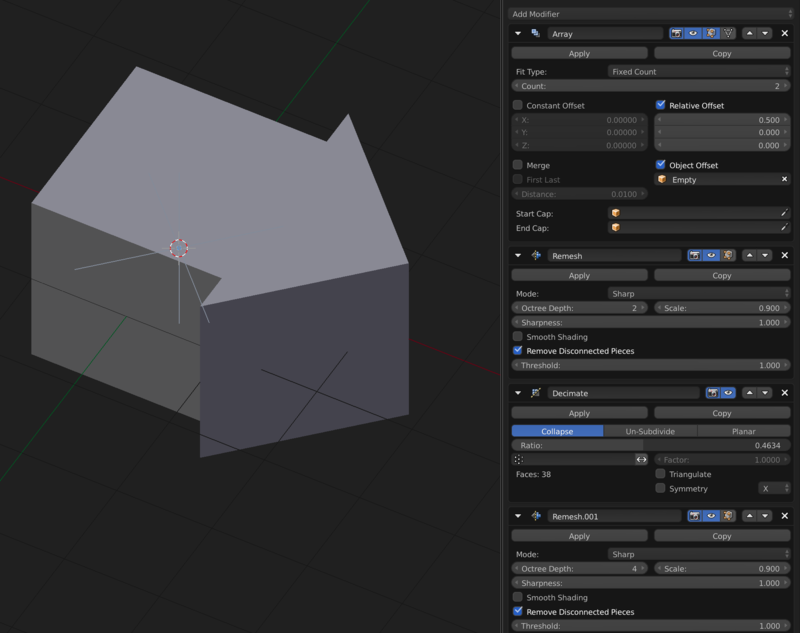 One (final) edit - using a helper function to simplify the repeated equation and adjusting to produce a more traditional 'extruded'-shaped arrow, but using a step size of 4, adjusting the start/end values, and adding a conditional to the X Equation (note the specific settings in the left-hand panel). You can do this in 8 steps, or 7 steps if the arrow tip may be squished. 11 or 9 if drag counts as two atomic operations. 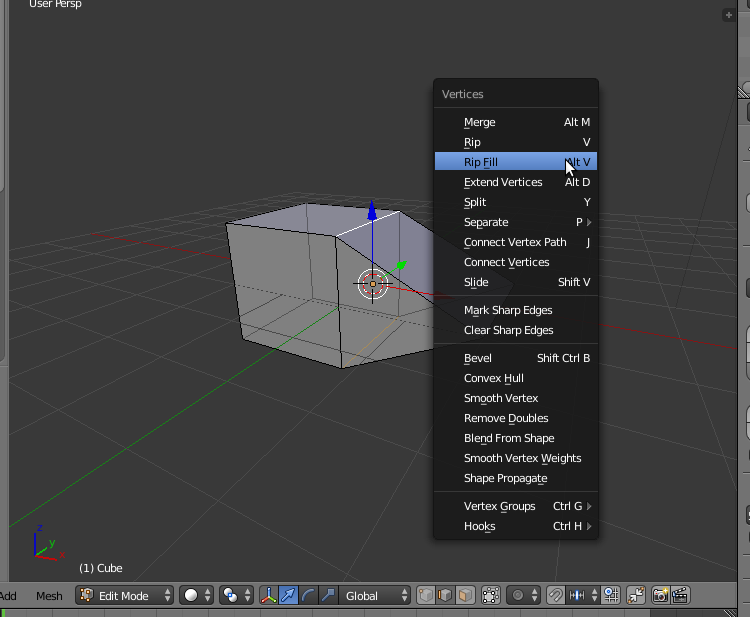 Edit mode, face select, select y axis normal face, loop cut 2, drops us back into edge select mode with new edges selected. 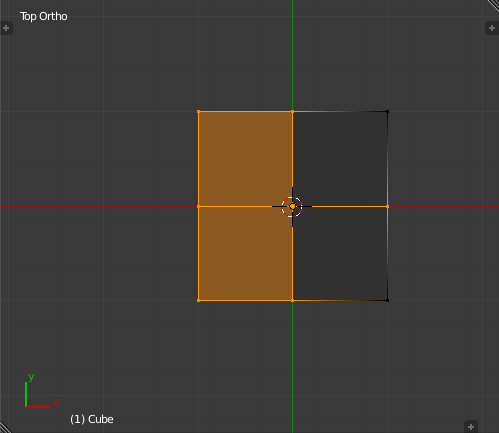 go back to face select mode, select middle face and extrude in y direction. EY drag. Conforms to Default Cubism rules. 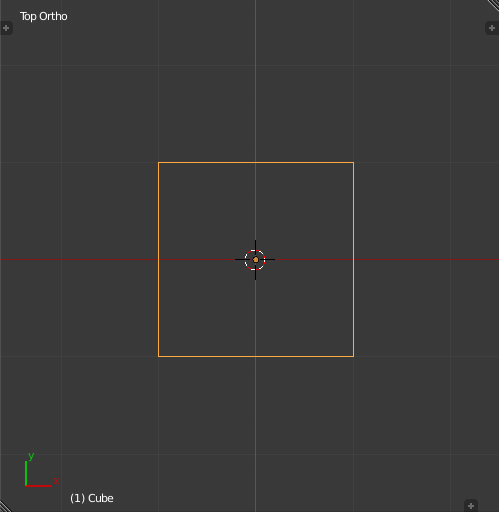 then select center loop top/bottom edges and use "rip fill"
here is an even faster way to do the same thing: lasso select, extrude, scale to zero, rip fill. Technically that's it, although the thickness might not be immediately apparent. 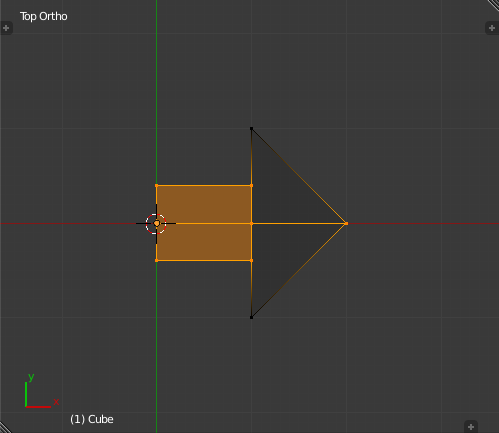 Increase the Thickness of the Solidify modifier as desired. 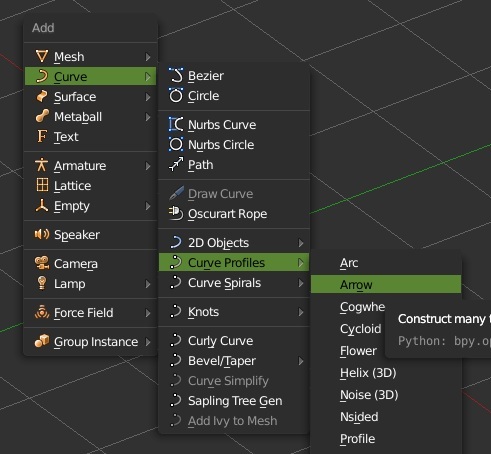 There aren't any answer with curves yet (besides the Curve Galore add-on), so let's do it with curves! Set the Radius for the new point to 4. 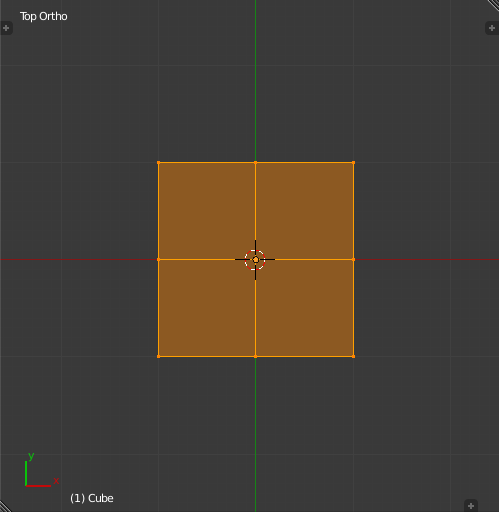 You can optionally increase the Resolution for a smoother arrow. Pretty sure this is the shortest method here yet. Thanks to batFINGER it is down to only five three steps! 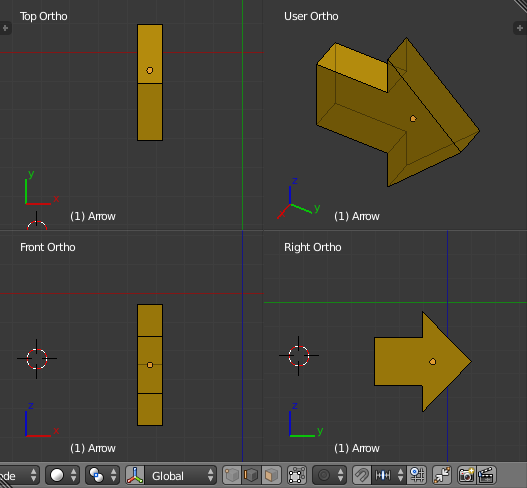 Perfect arrow with nice clean topology (no double vertices or edges), and its easier and faster then any other method. Inspired by the numerous cool examples (John's in particular), here's two attempts of my own. If I obeyed my own rules, I think there would be more keypresses to count. But I don't count my answers anyway. I just wanna add to the variety with a bit of Lasso Select. 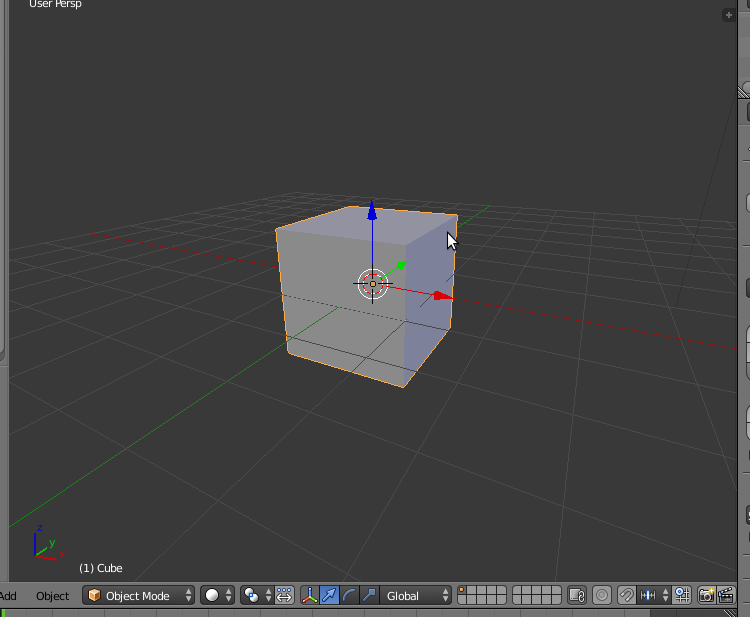 Add a circle, change the number of vertices to 3. 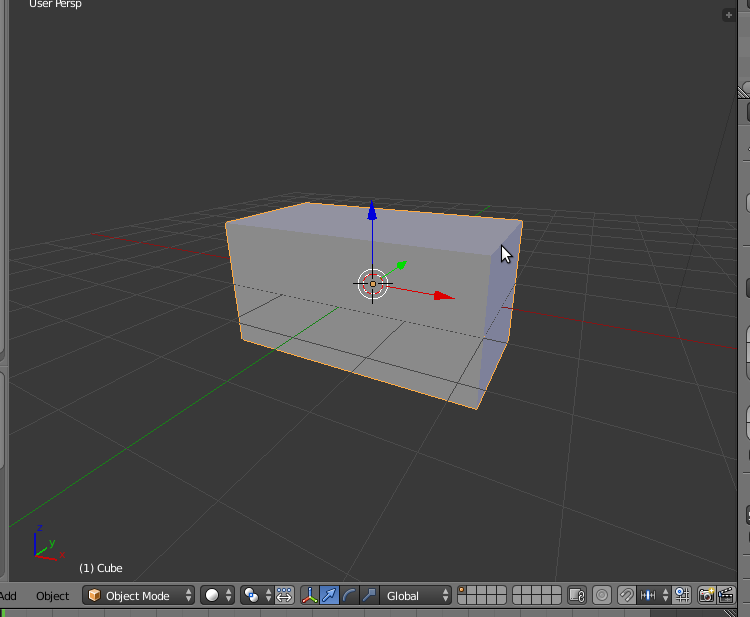 Extrude the newly created vertices. 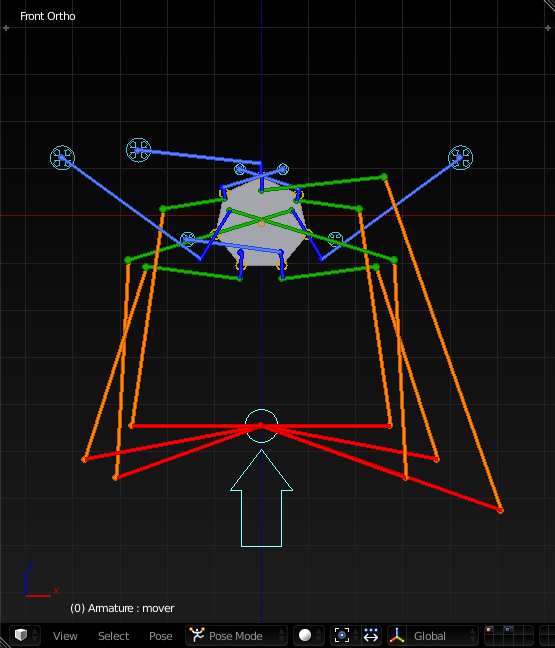 Terrible topology with a big and ugly n-gon, but there was no requirement on the question quads.. 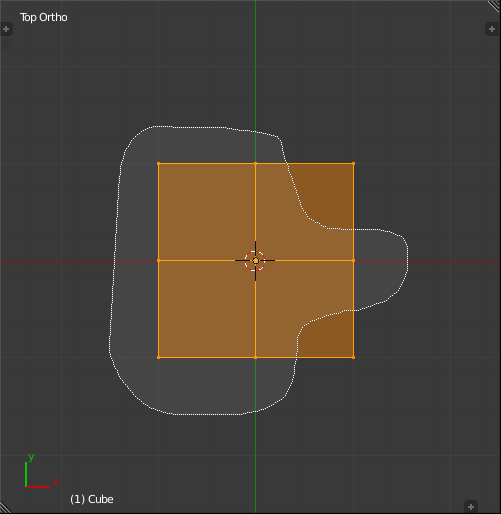 Here's an alternative solution using a Skin modifier. 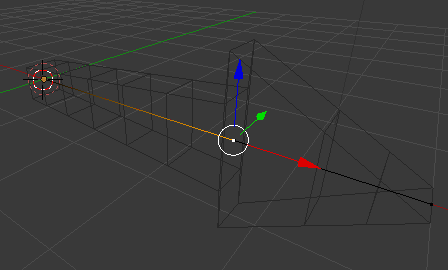 Essentially, create a line of vertices and set the radius on each to create the arrow. 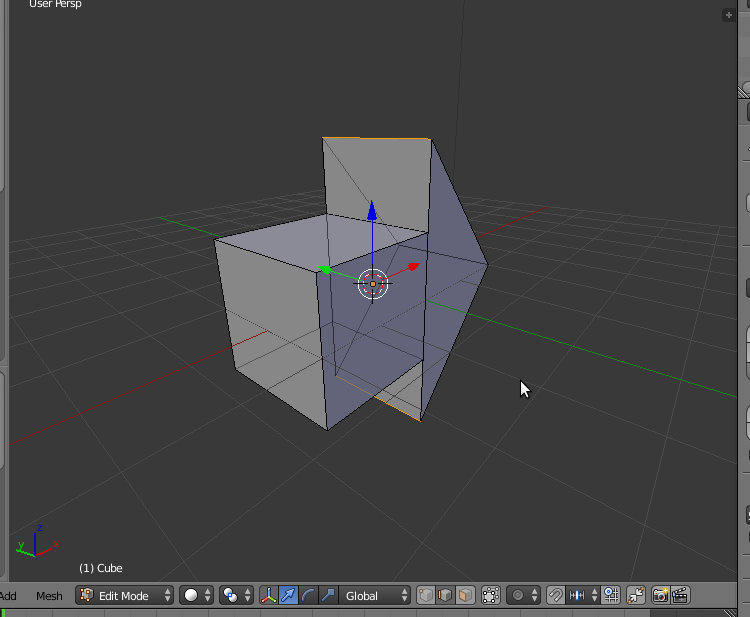 Starting with the default cube, got into Edit mode (Tab) and select Merge/At Centre to create a single vertex. Select the next vertex. 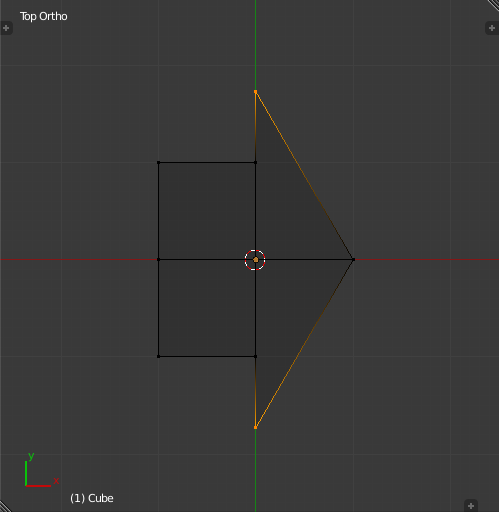 Set Mean Radius Y to the maximum width of the 'head'. 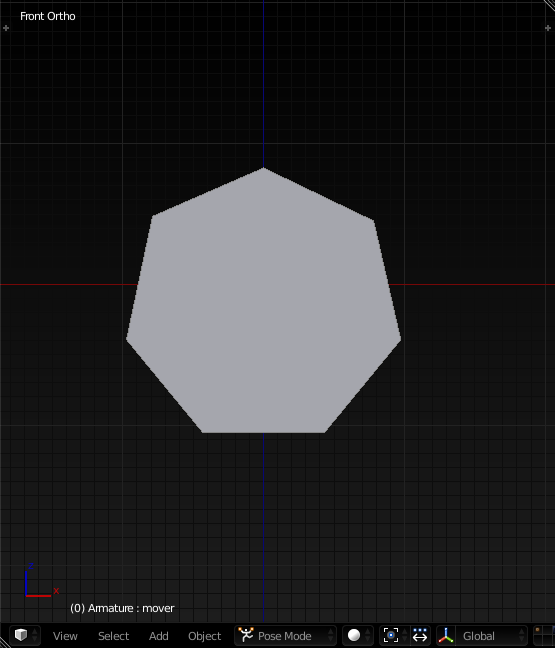 Select the last vertex and set the Mean Radius Y to the width of the stem. 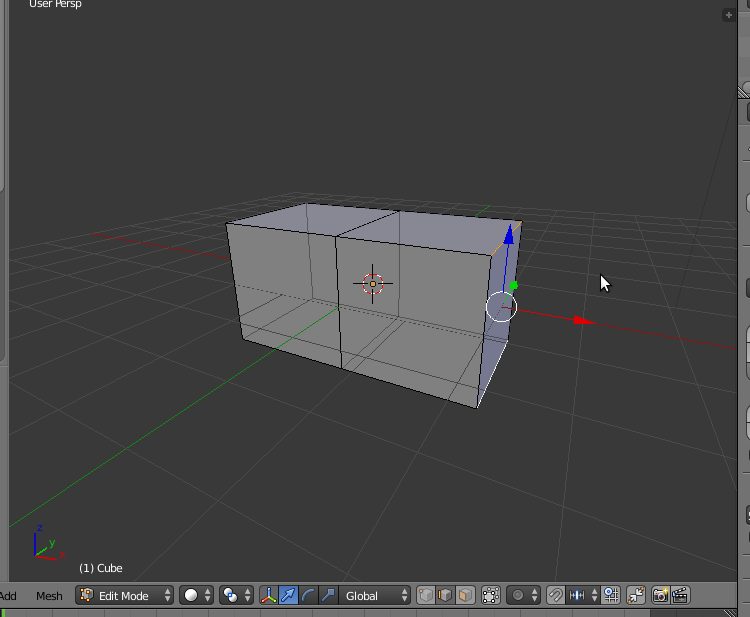 Throw four Modifiers on the default Cube and add an Empty. Let's go simpler. Nowhere in the question's rules does it state that the arrow must be a single object. That is an assumption, and doing away with that assumption will allow us to refine our approach. 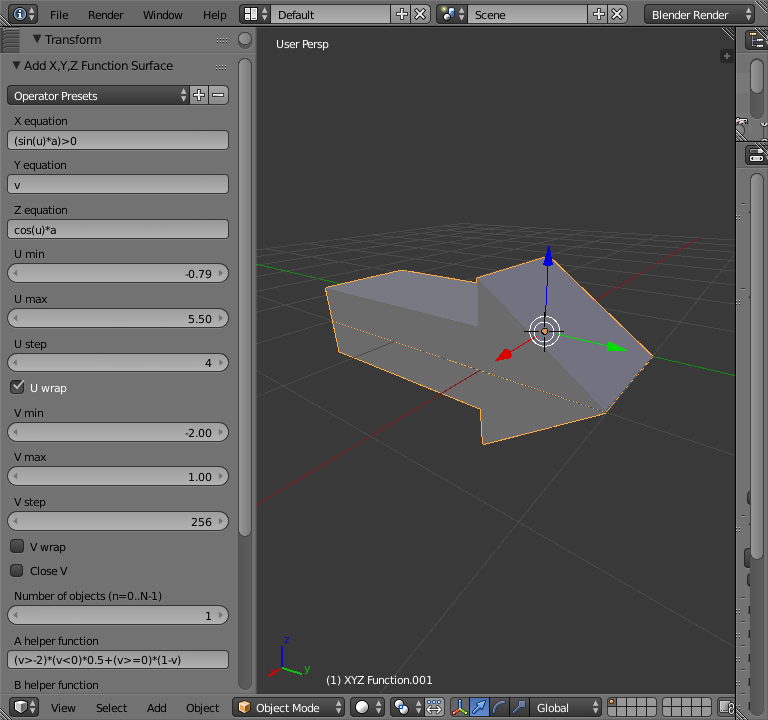 Here's one more that's all quads just for fun, add mesh -extra objects addon should be enabled for the triangle object.